After losing her husband, Harold, and her beloved grandson, Cody, within the past year, Louisa has two choices. She can fade away on her Indiana family farm, where her companionship comes courtesy of her aging chickens and an argumentative cat. Or, she can concoct a plan. Louisa, a retired schoolteacher who's as smart, sassy, and irreverent as ever, isn't the fading away type. All Linda wants to do is sleep. She won’t look at her husband. She can’t stand her daughter. And she doesn’t want to have this baby. Having this baby means moving on, and she just wants to go back to before. Before their family was torn apart, before the blame was placed. Alienated by their own guilt and struggling to cope, the Sadler family unravels. They grow up, grow apart, never talking about their terrible secret. That is until Linda’s daughter finds out she’s pregnant. Before she brings another Sadler into the world, Bea needs to know what happened twenty-five years ago. All Maddie Barrett wanted was for her parents to get back together, but an icy road took that dream away. Afterward, Maddie is riddled with guilt that she can't share with anyone. Feeling angry and alone, she lays all the blame on Alex. Alex and Maddie must find a way to move past their pain - shared, yet separate. Thrown together in an untenable arrangement, they fight through a frozen landscape of sorrow and redemption while redefining love, forgiveness, and family. What did you love best about Ashes of Life? My favorite was Maddie's side of the story, her struggles with grief and navigating a teenage life in general. Another thing I loved was the writing style. The book was well written, uncluttered, enjoyable and easy to follow. Would you recommend Ashes of Life to your friends? Why or why not? Definitely yes, to anyone who is a romantic at heart and enjoys romance novels. That would be because to me it's a book of love stories more than anything else. Laurel instilled life and uniqueness into each of the characters, making the story come alive. The speed and tone of narration were just right and kept my attention. Who was the most memorable character of Ashes of Life and why? The most memorable character was Maddie - one of the two main characters and narrators of the story. 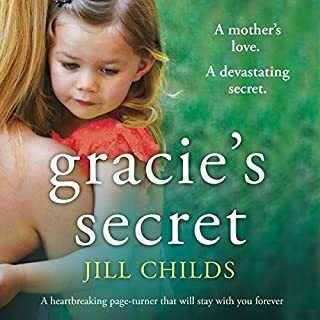 Maddie is a teenager who has just suffered a great loss and needs to find a way to deal with the grief, as well as all the changes that the loss has caused. On top of everything she needs to go back to dealing with the tribulations of regular life. I found it impossible to stay indifferent to her suffering even when she was making mistakes. The other character I liked a lot was Alex's best friend Natalie who was warm, quirky and funny. As a romance novel, this book was really good and had everything it needed in just the right amounts. As a story of grief, however, I found it lacking in depth and seriousness. The story moved too fast, especially for Alex. It felt like she was not allowed enough time to grieve and deal with her losses. She was pushed and hurried both from the outside by the authors and from within the novel by certain characters. It would have helped a lot if the events of the story were spread throughout a longer period of time, perhaps a year or two, rather than just a couple of months. 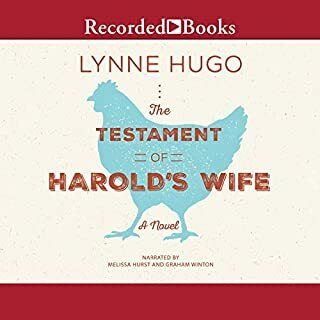 When I got requested this audiobook from Audiobookblast, it was listed as "Literary Fiction" and the description sounded like something I would like (and I did like most of it), but there was just too much romance for my taste (I'm not a fan of romance novels). The narrator, Laurel Schroeder, was excellent and this is what kept me going with this book. I wish to thank the authors, the narrator, and Audiobookblast for the opportunity to listen and review this book. What made the experience of listening to Ashes of Life the most enjoyable? The story plot was amazing and narrator Laurel really nailed the performance perfectly. What other book might you compare Ashes of Life to and why? Not really sure if I can or want to compare it to other books.This was special for me and I want to keep it that way. Honestly I can't pick a favorite one because she rocked them all.I ADORE her performance with the whole book and every single character. If you could rename Ashes of Life, what would you call it? I wouldn't rename it at all.This title is very fitting and it was a great decision. 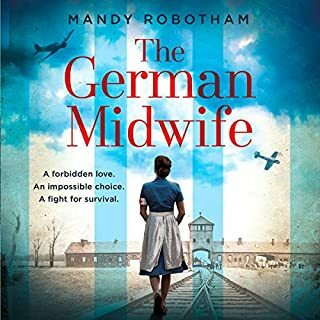 Incredibly emotional story that will hold your heart tightly all the way.I loved it and will definitely have to read it again.
" Alex Barett is a beautiful, young woman who just married the man she loves and is expecting their love child. Everything is a pure bliss until one moment changes her happiness to despair. 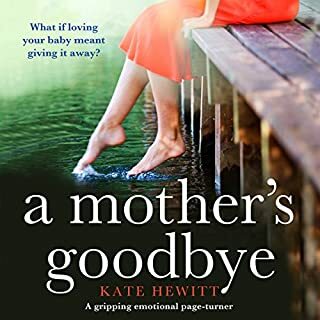 Her husband dies in a car crash and if things could ever be worse than that, David's ex-wife Sarah was with him in the car and they died together leaving their teen daughter Maddie behind.David leaves everything to Alex and since Sarah also died with him Maddie is left without a legal guardian and is all alone just like Alex. Heartbroken Alex is suffering enormous pain and wallowing in her sorrow and is now to take care of her late husband's daughter that can't stand her at all. Maddie has hated Alex since the first day they got introduced so things doesn't goes as smoothly for either one of them. " I have never heard of these two authors before and quite frankly I don't have the best experiences with authors co-writing so I took this book on with huge caution. But I was so pleasantly surprised that their way of writing this story was just the way I like it. I was blown away with the story that might not be the most innovative one but it sure touched my heart deeply and I was really feeling the characters emotion on a very personal level. I liked the story line, I liked how it was perfectly executed and I only have the words of praises to extend to both authors and the narrator Laurel Schroeder. This was also the first time listening to Laurel narrating a book and it will most definitely not be the last one. She did an excellent work here and made this listening so joyful for me and I connected with characters really well thanks to her. I can recommend this book whole heartedly and I hope you will enjoy it as much as I did. 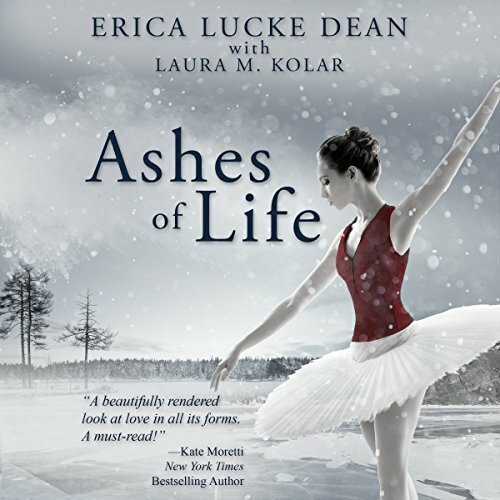 "This audiobook was provided by the author, narrator, or publisher at no cost in exchange for an unbiased review"
Would you try another book from Erica Lucke Dean and Laura M. Kolar and/or Laurel Schroeder? I did not like the two main characters in the book till the last few pages. The story was of a young girl whose father had just remarried a younger women. They were both in a lot of pain because of a car accident when both of Maddy's biological parents died. Now she was left with a step mother that she had never gotten to know. If this is a young adult reading this book it may have been more to their liking. I felt that there was much too much bickering through most of the book and I had a heavy feeling of unhappiness. Ashes of Life is perfect title and quite aptly describes the story. There is so much emotion in the story. While we are making plans, life happens and it is how we handle the twists and turns that will make or break us. This is a beautiful story of love, loss, and healing. It is the story of two people who start out hating each other, but are forced by circumstances to learn to live with each other. When they learn to open their hearts to love again, they find love in unexpected places. 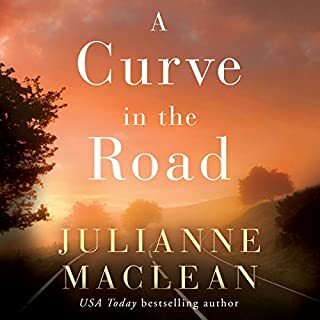 The writing is very well done, and the two main characters, Alex and Maddie, are very real and believable in their interactions with one another. They are both strong women who don't realize just how strong they really are. The two main men in their lives are very loving and supportive throughout the struggles both women face. I loved all four of these characters, and their story of forgiveness and growth. I listened to the audio version, and I can't say enough good things about narrator, Laurel Schroeder. She is one of the best. She really gives these wonderful characters life, and adds a deeper dimension to their story. 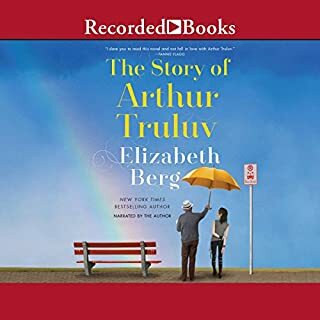 Highly recommended book and (if you enjoy listening) audible version. Wow. I was swept away by Erica Dean and Laura Kolar's story from beginning to end. It was truly a book I couldn't put down. Although it has a simple plot revolving around the lives of two woman--a 16 years girl and her step-mother, it was complex and filled with wonderful life lessons. Narrator Laurel Schroeder did a wonderful job bringing these characters to life as well as portraying the many emotions each charter explores in this dramatic novel. Her vocals were subtle and diverse. The only thing that bothered me about this audiobook, were the few editing errors found in a few chapters. They were generally un-edited out re-records by the narrator. Please not even though they were there, it didn't takeaway from the book as whole. Overall, this was truly a fantastic book and I would recommend it to many. I don’t usually read many books from this genre, but I really enjoyed this one. The narration brought the story to life and held my interest throughout. The story was well thought out, complete and will keep you listening. I will be watching for this author in the future. * I was provided a free copy of this book from AudioBookBlast for an honest review. All I can say about this book is WOW! I both loved and hated the two main characters. This was very well written to bring out the whole range of emotions. The story flowed well and I found myself not wanting to stop listening. The narration was well done, from young widow to troubled teen, and all the others were vividly brought to life.